Tickets can be purchased at Livenation.com, Little Caesars Arena XFINITY box office and and Ticketmaster.com. Artist line-up is subject to change without notice. 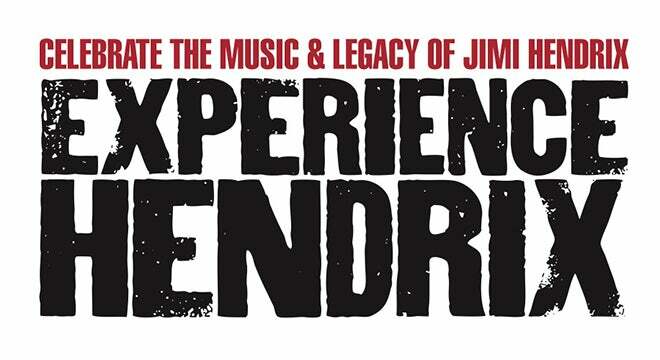 The Experience Hendrix Tour, the critically acclaimed multi-artist celebration of Jimi Hendrix’s musical genius is returning in 2019 with its biggest ever tour – 30 dates through the East Coast, South and Midwest, including a date at the Fox Theatre on Saturday, March 23 at 7:30 p.m. What began as a single show tribute at the Rock & Roll Hall of Fame in 2000 has blossomed into a full-fledged concert experience that has thrilled countless fans across the US. The tour presents a host of great artists collaborating and interpreting Hendrix’s legendary songs as part of a powerhouse, three-hour concert experience. This latest edition of the much anticipated tour once again emphasizes the influence Hendrix has made on a diverse group of artists. The concerts will bring together artists as disparate as guitar wizard Joe Satriani, blues great Taj Mahal, Ernie Isley and Dweezil Zappa. Megadeth’s Dave Mustaine will make his Experience Hendrix Tour debut while mainstays such as Billy Cox, Jonny Lang, and Eric Johnson will also be on board for the expedition. The Experience Hendrix Tour offers fans a rare opportunity to see many highly regarded players performing together in a unique setting. Black Label Society legendary frontman Zakk Wylde will also perform. 15-time Grammy® Award nominee Joe Satriani will make his long-awaited return when the tour kicks off March 3 kickoff in Pompano Beach, FL. Notable for being the biggest-selling instrumental rock guitarist of all time, Satriani came to the forefront with the release of his 1987 solo album Surfing with the Alien. He has worked with Mick Jagger, Deep Purple, Alice Cooper, Blue Oyster Cult and the fabled Spinal Tap and is a member of rock super group Chickenfoot. In keeping with the spirit of the Experience Hendrix Tour, Satriani has formed an all-star trio especially for the occasion, calling upon bassist and vocalist dUg Pinnick from King’s X, and prolific sideman Kenny Aronoff on drums to serve as his rhythm section. The 2019 Experience Hendrix tour dovetails with the release this November 9 release of the Deluxe Edition box set of Electric Ladyland from Experience Hendrix, L.L.C. and Legacy Recordings in celebration of the 50th anniversary of Hendrix’s masterpiece. It will be available as either a 3CD/1 Blu-ray set or a 6LP/1 Blu-ray set, remastered by Bernie Grundman and including Electric Ladyland: The Early Takes, which presents demos and studio outtakes from this period in Hendrix’s career, plus a new 5.1 surround sound mix of the entire original album by Hendrix’s original engineer Eddie Kramer. Also included is Jimi Hendrix Experience: Live At the Hollywood Bowl 9/14/68 well as the feature length documentary At Last? The Beginning: The Making of Electric Ladyland. It has also been announced that every pair of tickets purchased online for select Experience Hendrix Tour dates will come with a physical CD copy of Both Sides of the Sky. Heralded by Relix as “both a historically valuable document ... and a treat musically,” Both Sides of the Sky is the third volume in a trilogy of albums intended to present the best and most significant unissued studio recordings remaining in Jimi Hendrix’s archive. Featuring Billy Cox (from Jimi Hendrix Experience / Band Of Gypsys), Joe Satriani, Dave Mustaine (from Megadeth), Zakk Wylde (from Black Label Society / Ozzy Osbourne), Jonny Lang, Dweezil Zappa, Eric Johnson, Doyle Bramhall II, Doug Pinnick (from King's X), Chris Layton (from Stevie Ray Vaughan & Double Trouble), Mato Nanji (from Indigenous), Kenny Aronoff, The Slide Brothers, Henri Brown, Kevin McCormick, Taj Mahal, David Hidalgo (from Los Lobos), and Cesar Rosas (from Los Lobos) *Artist line-up is subject to change without notice.